Nothing screams summer quite like strawberry lemonade. A combination of two of the season’s greatest fruity hits, this tangy beverage is a guaranteed go-to refresher for the warm weather months. With this Strawberry Lemonade Green Smoothie, your favorite summer drink is all grown up and working its health benefits to the max. 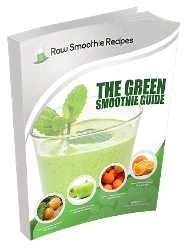 With zero added sugar, this naturally sweet green smoothie combines the powerful antioxidants and cleansing properties of strawberries and lemons. 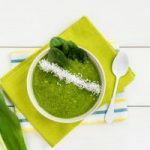 It also includes some of your favorite superfoods, like chia seeds and collard greens to get your summer health routine off to a strong and flavorful start. 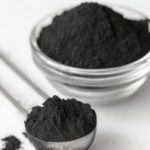 While the word “superfood” usually conjures up images of high-profile Pinterest trends like kale and acai berries, some superfoods, like strawberries, are just regular, everyday foods and ingredients you’ve enjoyed for years. A tasty, low-calorie treat, strawberries are a can’t-miss addition to any healthy lifestyle, and also happen to be packed with nutrients, antioxidants, and fiber. What’s so Super About it?! What really makes these small but mighty health-food staples “super”? Well, it’s their ample supply of Vitamin-C, which provides powerful benefits for the immune system while helping to reduce inflammation, blood pressure, and risk of heart disease. 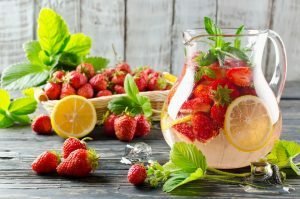 Meanwhile, nutrients in strawberries can help give your metabolism a boost, while the high fiber content will keep you fuller longer, making this Strawberry Lemonade Green Smoothie perfect for weight loss and maintenance. Meanwhile, lemons are widely touted as a detox miracle fruit. Known for their cleansing and metabolism-boosting properties, lemons are a crucial part of any diet or detox. 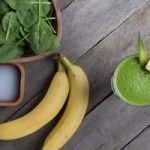 These powerful properties will leave you refreshed, energized, and free of uncomfortable bloating that can slow down your fitness goals. 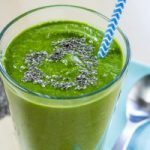 Combined with chia seeds and collard greens, the health benefits of these common superfoods pack this green smoothie with a powerful punch. Which makes it perfect for an energizing breakfast or filling afternoon snack! 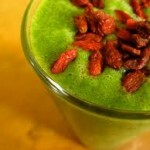 This Strawberry Lemonade Green Smoothie is the perfect addition to any summertime fitness plan. Soak chia seeds for five to ten minutes. Blend chia seeds and almond milk. Add banana, blend until creamy. Add other ingredients, blend on high until smooth.